Monkey Heaven is a tribute to the cult classic live action Japanese TV series Monkey (sometimes known as Monkey Magic), made by NTV in the late 1970s, and starring Masaaki Sakai, Toshiyuki Nishida, Shiro Kishibe, Masako Natsume, Tonpei Hidari, Shunji Fujimura, Mieko Takamine. It's based on one of the great quest stories, a 16th century Chinese epic called Hsi Yu Chi (= Journey to the West). The title Monkey is probably from Arthur Waley's English translation. The tales, set in 630 AD, describe the demons and monsters who try to stop the Tang Priest Hs�En Tsang (Tripitaka) from reaching a Buddhist monastery in India to retrieve Buddhist scriptures. The whole series recounts the exploits of the resourceful, brave, and humorous Monkey, the real hero of the fantasy, as he escorts Tripitaka, the pig monster Pigsy, and the water monster Sandy, on their perilous mission. Hs�En Tsang (Tripitaka) actually lived and really did go to India in 629 A.D. to get Buddhist scriptures. 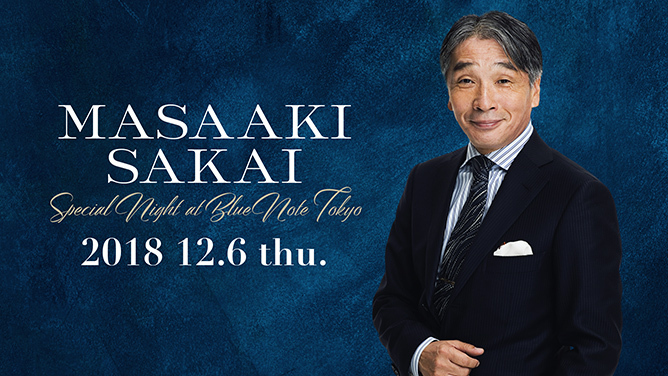 Masaaki Sakai will do a concert in Tokyo on Thursday 6th December 2018! Also see fan drawings of Masaaki Sakai, including some of him as Monkey! Sign the Monkey Guestbook to send me your feedback! Discuss Monkey with other fans! Sad news: Tonpei Hidari (who played Pigsy in season 2 of Monkey) passed away on 24th February 2018, aged 80. Includes a link to a Japanese news article reporting the news, a video of a film trailer featuring him, along with the Monkey and Tripitaka actors, plus a video of him performing a song from Grease. Sad news: Shunji Fujimura (who played Yu-Lung, the horse in human form, in series 2 of Monkey) passed away just over a year ago, on 25 January 2017, aged 82. Includes a link to a Japanese news article reporting the news. Videos related to "Monkey", its actors, music by Godiego etc.! Monkey (Saiyuuki) playlist features 2 videos of the long-awaited reunion of the 3 main actors in 2006! Subscribe now to be notified when I add new videos! Download the original English scripts of Monkey which were used for the 39 English-dubbed episodes! Watch the music video of a fantastic new Monkey Magic rock cover version by Japanese band odd five! Includes links where you can order the CD! Move your mouse over an item below for more info, or click on it to go to the page. Wonderful new Monkey wallpaper images, icons and cursors for your computer (+ link to sounds)! Ever spotted any continuity errors in Monkey? The Day I Met Monkey! You too can be Monkey for a night! The stories of the day I met Monkey, Pigsy and the Horse (indepth articles), cast biographies, episode reviews, dubbing information, information about "missing" episodes that were never dubbed into English, trivia, episode ratings, bloopers / continuity errors / mistakes, episode summaries, fans' memories, links, quotes, and details of where you can catch Monkey on TV around the world. Get pictures, sounds, digital movies, screensavers and desktop themes from Monkey here, and see fans' drawings (fan art) of characters from Monkey, plus animations and fan films. Monkey fan fiction, memorabilia, autographs, Monkey tribute stage shows, Monkey games, gifts, posters, postcards, t-shirts, lifesize Monkey cutouts, fans dressed as characters from Monkey, costume hire, on video, DVD, Monkey soundtrack CD by Godiego, record, karaoke, in books, magazines, films, other related TV shows, and video games. Give me feedback, get a penpal, post messages to the Monkey Message Board, join the Monkey mailing list, take part in live chat about Monkey. Wanted - A list of things / information wanted by Monkey fans. Last updated: Sunday, December 2, 2018 at 1:55 (GMT).